Classic romance. Graceful beauty. Sheer style. 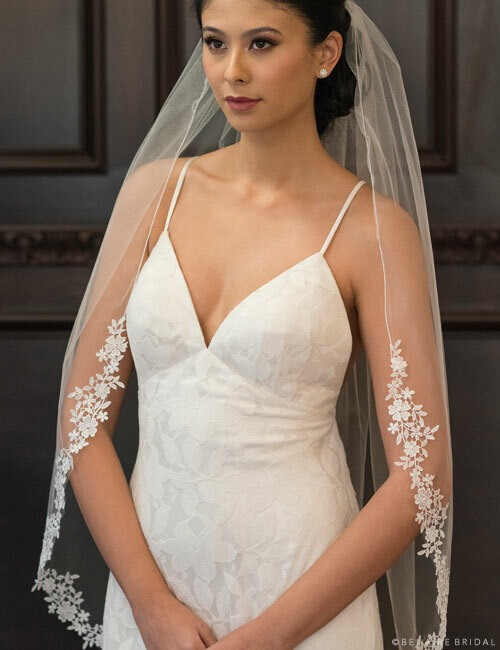 These aren’t taglines for an Audrey Hepburn movie—this is what we think of when we see bridal veils made with exquisite Venise lace! Originally crafted in Italy, the Venise lace design is more structured than other flowery laces such as Chantilly lace. It is also more beautifully detailed than modern cut-out laces. Embroidered flowers create a striking pattern so gorgeous, it could only be used for an occasion as special as a wedding. Take a peek at these timeless, heart-fluttering designs and get inspiration for your wedding day look! Some styles are just dreamy. Celebrate your wedding with the beauty of wildflowers by borrowing inspiration from nature’s bounty. 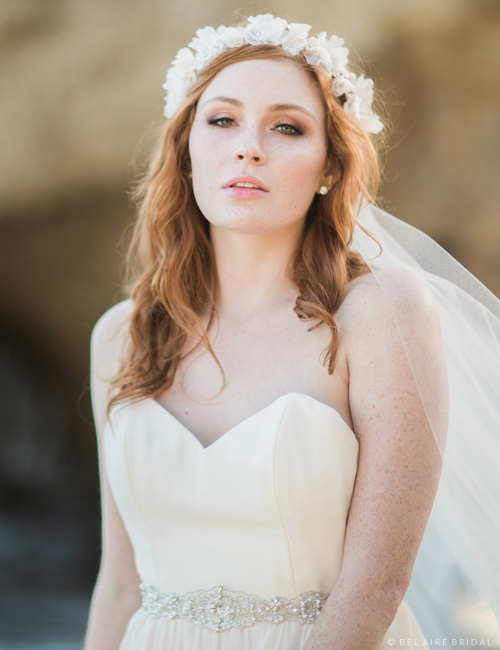 This lovely fingertip lace veil features tiny flowers and shimmering beadwork beneath a simple rolled edge. Decorate your neckline with delicate jewelry for a lighthearted, pretty outfit. Lavish yourself with romance on your special day. Stunning floral lace cascades gracefully down your silhouette to waltz length. This incredible design of bold, feminine flowers enhances any wedding outfit. Beautifully complementing lace gowns, this ravishing veil may be paired with shimmering jewelry for a swoonworthy, personalized look. Style an elegant, formal look with lovely lace lilies for your once-in-a-lifetime moment. Graceful and utterly glorious, this beaded lace veil celebrates your beauty with a frame of classic bridal flowers. Pair this flowing fingertip design with a complementary lace headpiece or lustrous pearl jewelry. Create a radiant ensemble that will leave your partner breathless. Sweet as blooming forget-me-nots, this lovely veil features a narrow trim of small flowers. Dotted with tiny rhinestones, this fingertip length style evokes heartfelt love and fidelity. Combine it with a bridal wreath or halo for a totally rustic-chic look. Equally perfect in a meadow or in a church, this refreshing design exudes bridal beauty. Be a princess for a day. Commemorate your wedding with timeless beauty and unforgettable style. 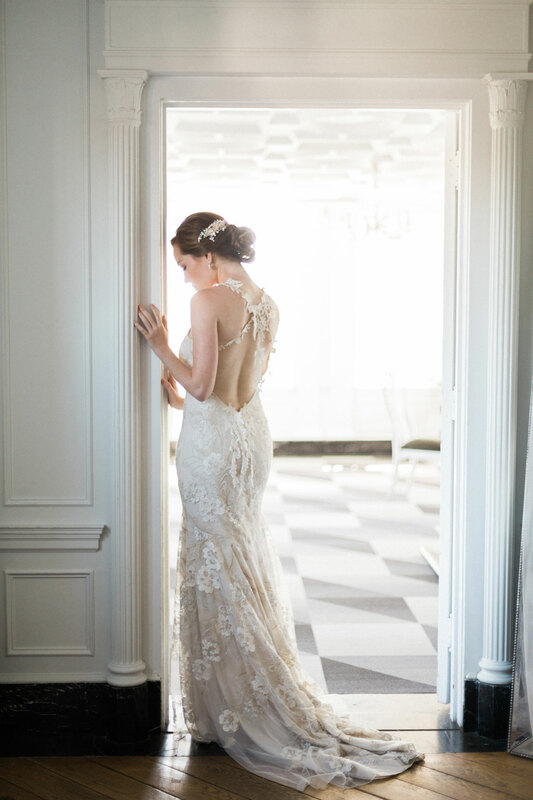 Narrow lace in cascading scallops in a romantic foldover design creates a dreamy look fit for royalty. 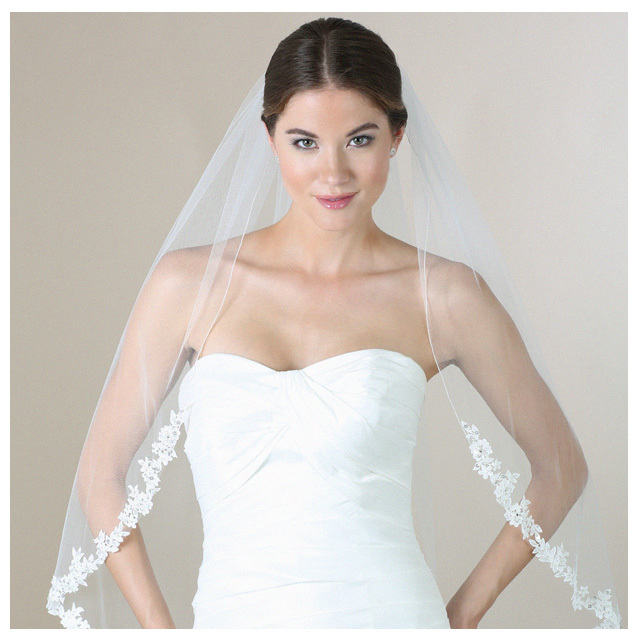 Pair this formal, elegant veil with a shimmering tiara or decadent jewelry. Add sparkling accessories and bring your fairy-tale vision to life. Love grows over time. 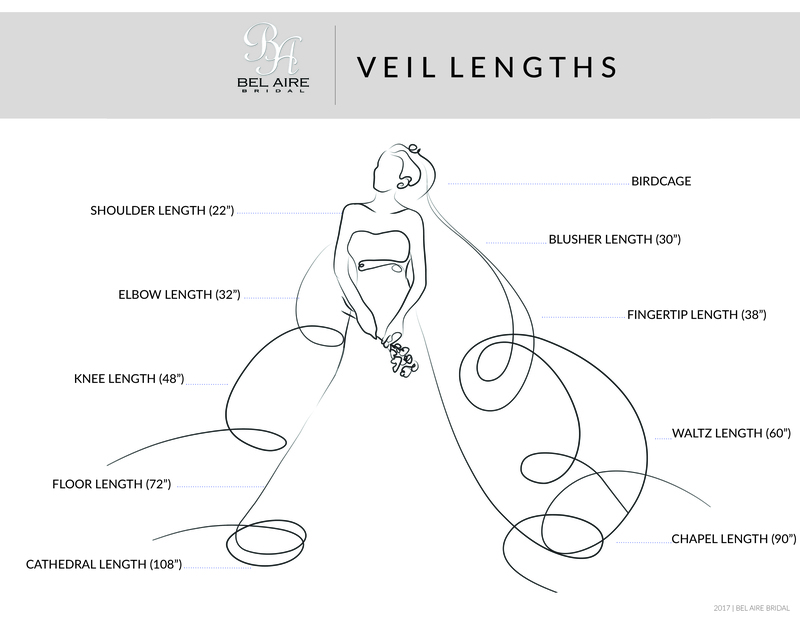 Celebrate this memorable milestone with a beautiful veil featuring flowers in full bloom. Gorgeous as a garden kissed by the sun, this lovely lace design enhances your look with delightful charm. 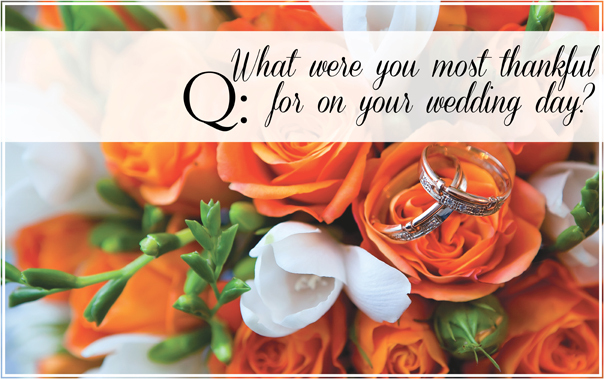 Pair it with a floral dress, vintage jewelry, or tea-party style accessories to create a bridal ensemble as special as your love. Want to see more? 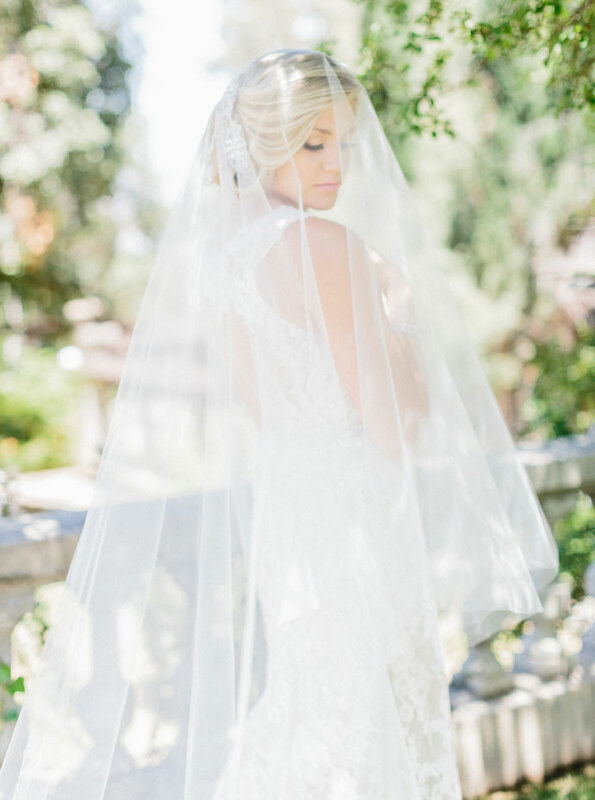 Check out our lace veils and cathedral veils pages for beautifully romantic styles. Happy Thanksgiving! 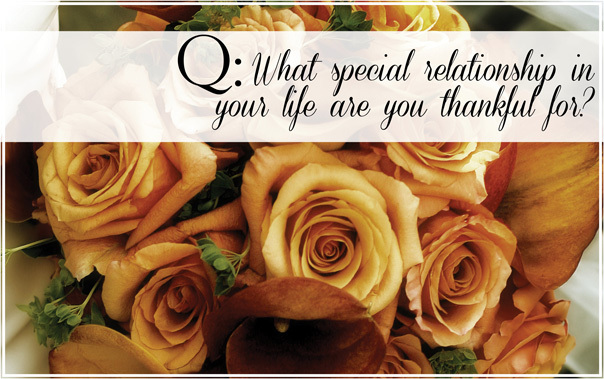 Here at Bel Aire Bridal, we are giving thanks for our friends and families by sharing a few thoughts from our staff. Enjoy a wonderful and safe holiday, and tell us what you are thankful for!